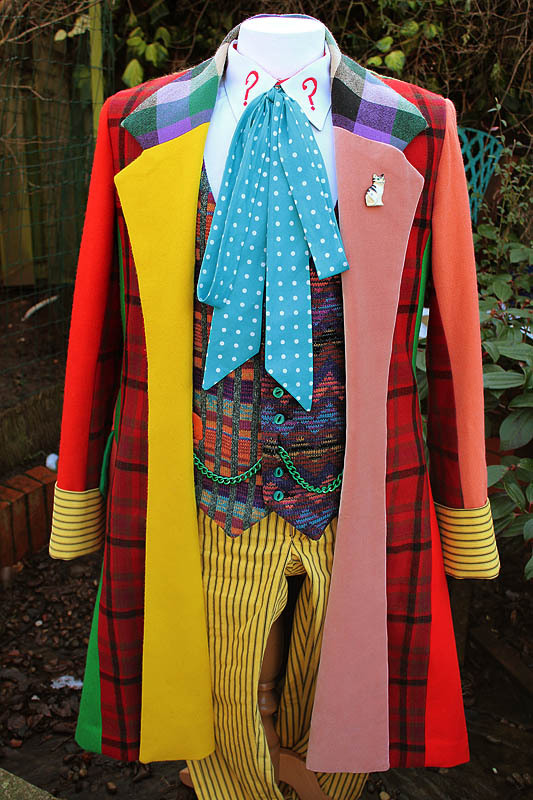 Making My 6th Doctor Costume: Ultimate Six Frock Coat - purrrrrrfection! 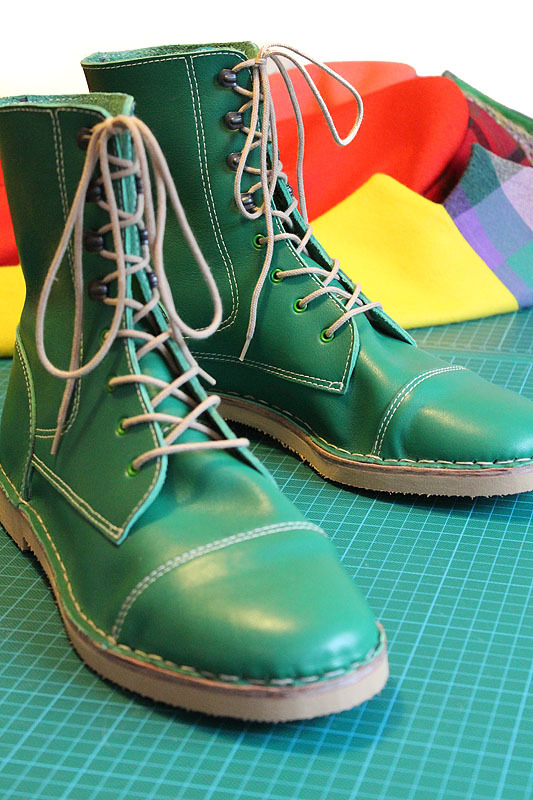 Now I’ve finished my ULTIMATE Six Frock Coat project, I thought I should top it off with the ULTIMATE icing on the cake! A while back I did a breakdown of all the Cat Brooches the Sixth Doctor wore during his era. 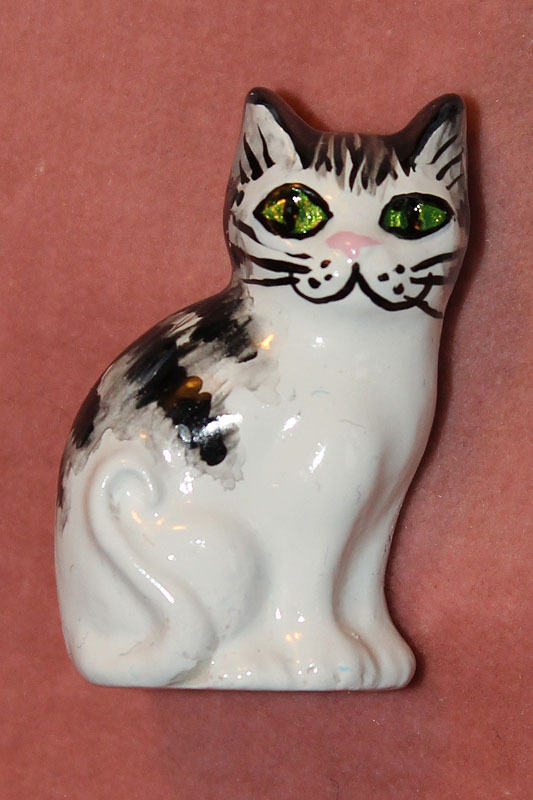 By far the most used was the first, a ceramic white tortoise shell cat with a cheeky grin. Back in the late 1980s I heard that the jewellery artist who made it had produced a limited run of replicas for sale through the Doctor Who Shop. So I rushed out to get myself one and I have proudly kept it in mint condition ever since. 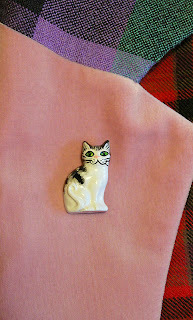 It’s the brooch I have kept on my replica Fock Coat I did when I was only 19 years old! Moving this brooch to my new ULTIMATE Six Frock Coat got got me thinking. 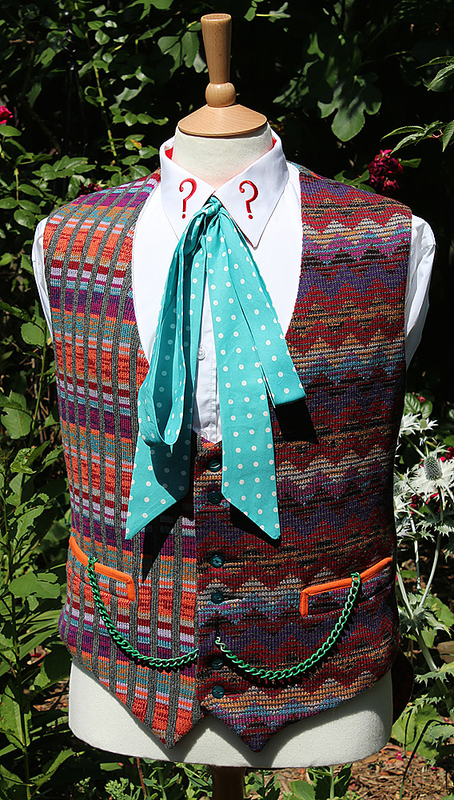 Could I persuade her to made some more replicas to go with my ULTIMATE Six Frock Coat? I spoke with her just before Christmas and this month I took delivery of half a dozen smiling little white ceramic cats, all hand made and painted just like the originals - and made by the original artist as well! 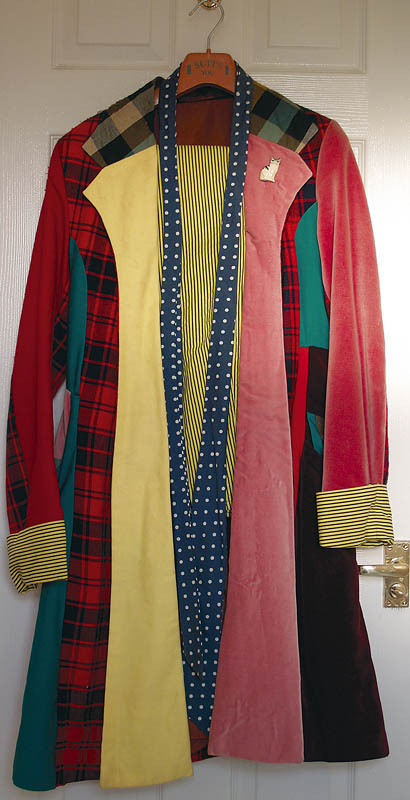 I have a number spare and have secured future stock as a EXCLUSIVE through my blog, so get in touch if you want to get your hands on this unique piece of Sixth Doctor memorabilia. 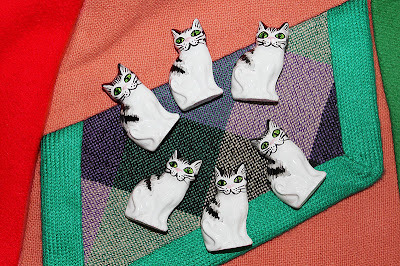 The Cat Brooches cost £35 each. I would like to know how much one of the cat pins might be going for now, and in dollars please. Do you still have any stock on these? Still available? PayPal okay? Other method preferred?